Assertions of statements such as ‘it’s raining, but I don’t believe it’ are standard examples of what is known as Moore’s paradox. Here I consider moral equivalents of such statements, statements wherein individuals affirm moral judgments while also expressing motivational indifference to those judgments (such as ‘hurting animals for fun is wrong, but I don’t care’). I argue for four main conclusions concerning such statements: 1. Such statements are genuinely paradoxical, even if not contradictory. 2. This paradoxicality can be traced to a form of epistemic self-defeat that also explains the paradoxicality of ordinary Moore-paradoxical statements. 3. 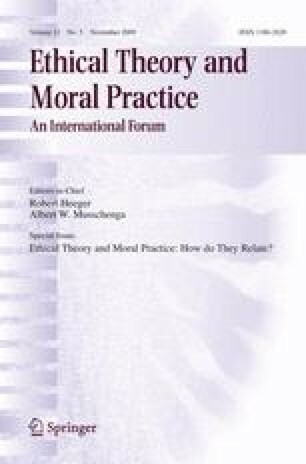 Although a simple form of internalism about moral judgment and motivation can explain the paradoxicality of these moral equivalents, a more plausible explanation can be provided that does not rely on this simple form of internalism. 4. The paradoxicality of such statements suggests a more credible understanding of the thesis that those who are not motivated by their moral judgments are irrational.